When was the last time you gave the front page of your site a little dust-off? Many of us let our websites sit for weeks, sometimes months, and sometimes even years with very little love or attention. Maybe you update your blog, or remember to update your Staff page with new bios and headshots as needed, but it's probably been a while since you REALLY looked at your homepage. That's a shame, since this page is the most important part of your website! It takes 50 milliseconds for someone to decide how they feel about your site once they land there. Most of that has to do with design, but what's written on your homepage matters too. Because spring is coming, use the checklist below to go through your homepage and see what needs cleaning. Literally. Look at the main text that appears above the fold (meaning what you see before you start scrolling). It might be text on a banner image, or it might be your tagline. Does it make sense on its own, with no other sub-text needed? Does it tell the user who you are and what you do? Will it spark joy for your user? Your homepage should let a user know that they're in the right place when they land, so ensure that whatever you've got up top, whether it's your value proposition or your current promotion, is attention-grabbing and easy to understand (and remember). Our client Panorama Global puts their tagline front and center, so you can't miss it. Studies have shown that your users start looking at your page from the top left and then move right, and then down. It's expected that you'll put your logo at the top and a header with a menu of other pages on your site, and maybe a few other things like a search bar or social media buttons. Double-check that the text in your site menus is easy to understand, so that a user who is looking for a specific page on your site can find it in no time. If your menus are confusing, you should consider renaming some of your website pages and maybe restructuring them. Check your website analytics to get a sense of the pages on your website that visitors want to see the most and make it easy to find them from your homepage. To Write Love On Her Arms has a simple and effective header to get people where they need to go in a jiff. 3. Let's look at the rest of the text. Is your text readable? Are your paragraphs short and easy to skim? Are you using headers and formatting to make the most important elements stand out? If you don't generate interest in your homepage within 15 seconds, your user will move on to the next shiny and exciting thing on the Internet. Make sure the copy that you're putting on the most important page of your site is genuinely interesting to read. If you read that copy out loud to the person sitting closest to you right now, would they snore or would they ask you for more? Take a lesson from our friends and colleagues eighty2degrees and keep things super simple and visually exciting. 4. What can you delete? Be ruthless. We mean it when we say that your homepage should engage your user. If you see text that doesn't serve a purpose or just is unnecessary, hit that delete button. If your text isn't making it clear why your business is valuable and what benefits your users will get from being on your website, it's time for an edit. Every sentence should be there for a reason! Our former client This Is My Brave just relaunched their site, and it's a great example of focused content. Think about how you can create visual space around the most important thing you want your user to do (your main call-to-action), so that they see where they should click next quickly and easily. If your link to donate is surrounded by 10 other potential things your user could click on instead, your user might get a smidge distracted, and we don't want that. 5. Open your homepage on your phone. Double-check that things are formatting nicely. If you don't have a mobile site... it's time to get one. 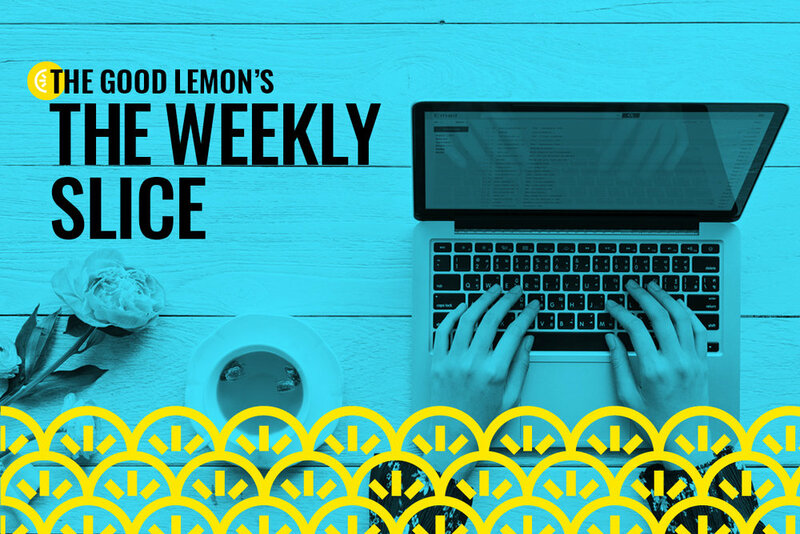 Not to toot our own horn or anything, but The Good Lemon's website is pretty gosh-dang mobile-friendly! We shouldn't have to say it, but don't forget to check EVERYWHERE for typos. Use a magnifying glass, a fine-toothed comb, a team of colleagues, a specially-trained Internet beagle, whatever you've got to sniff out those potential errors. Silly little mistakes just tell a user, "We don't care that much, actually." Extra credit: For bonus points and an approving smile from us, hand this checklist to a few colleagues and have them audit your homepage too. Compare their notes to your own! Maybe they'll suggest something that takes your website to the next level, so your users are all, like, 🤩. Extra extra credit: Use the KonMari approach to audit your whole website. Why not, right?